Also available on the site is a downloadable flyer in PDF format, complete with QR code and tear-off strips. 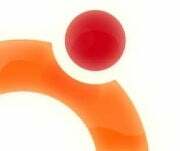 Oneiric Ocelot, or Ubuntu 11.10, is, of course, the next upcoming version of Canonical's Ubuntu distribution of the free and open source Linux operating system, and it's certainly anticipated with a fair bit of excitement. Following the launch of the first beta version of the software in early September, the second beta release came out later in the month. OneConf, meanwhile, has now been integrated into the Ubuntu Software Center to make synching applications between computers easier. A new set of community-supported ARM architecture images will also become available before the software's final release. On Sept. 29, the final freeze for the release went into effect. A release candidate is due this Thursday, followed by the final version on Oct. 13. I've long felt that a relative lack of marketing is one of the main reasons desktop Linux hasn't gained more mainstream acceptance, so I'm particularly excited to see this latest move on behalf of Ubuntu. Canonical may have raised more than a few eyebrows with some of the decisions it made for the last Ubuntu--Natty Narwhal--but I still believe many of them make a great deal of sense, particularly for Linux newcomers. Now, this fresh attention to marketing is one more sign that Ubuntu, of all the Linux distributions out there, is currently the one with the best chance at achieving widespread mainstream acceptance. I can't wait to see the final version next week.